Mary Shelley was born in London in 1797, daughter of William Godwin and Mary Wollstonecraft, famous radical writers of the day. In 1814 she met and soon fell in love with the then-unknown Percy Bysshe Shelley. In December 1816, after Shelley’s first wife committed suicide, Mary and Percy married. 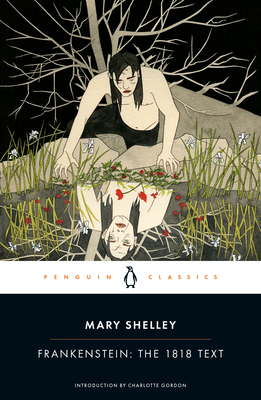 They lived in Italy from 1818 until 1822, when Shelley drowned, whereupon Mary returned to London to live as a professional writer of novels, stories, and essays until her death in 1851. Charlotte Gordon’s previous publications include Romantic Outlaws: The Extraordinary Lives of Mary Wollstonecraft and Her Daughter Mary Shelley (2015), Mistress Bradstreet: The Untold Story of America’s First Poet (2005), and The Woman Who Named God: Abraham’s Dilemma and the Birth of Three Faiths (2009). Romantic Outlaws was the winner of the 2016 National Book Critics Circle Award for Biography. Currently, she is the distinguished professor of the humanities at Endicott College. Charles E. Robinson, was professor of English at the University of Delaware, frequently lectured on “The Ten Texts of Frankenstein” and edited Frankenstein; or, The Modern Prometheus: The Original Two-Volume Novel of 1816-1817 from the Bodleian Library Manuscripts, by Mary Wollstonecraft Shelley (with Percy Bysshe Shelley) (2008), reprinted in paperback by Vintage Books (2009). His other books included Shelley and Byron: The Snake and Eagle Wreathed in Fight (1976) and an edition of Mary Shelley: Collected Tales and Short Stories, with Original Engravings (1976); The Mary Shelley Reader (1990), coedited with Betty T. Bennett; and an edition of Mary Shelley’s Mythological Dramas: Proserpine and Midas (1992) as well as the two-volume Frankenstein Notebooks (1996).